COUNTERBLAST BOUNCE SHOES CUSHIONED HANDBALL SHOES FOR TOP-LEVEL PLAY. 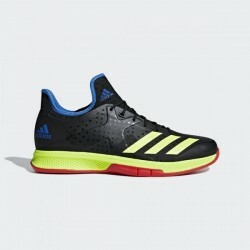 These mid-cut handball ..
CRAZYFLIGHT BOUNCE 2.0 SHOES LIGHTWEIGHT SHOES BUILT TO PERFORM. Own the net to take your game..
CRAZYFLIGHT X 2.0 MID SHOES LIGHTWEIGHT SHOES BUILT FOR HIGH PERFORMANCE. Dominate the net to ..
STABIL X SHOES DURABLE SHOES THAT SUPPORT EXPLOSIVE ACTION. Stand up to the cut-and-thrust of ..
HANDBALL SPEZIAL SHOES A STYLE EMBRACED BY FOOTBALL FANS AND FASHIONISTAS, DONE IN NUBUCK SUEDE. ..